Antonio Conte is hoping that his Chelsea FC players went home disappointed following Sunday’s 1-1 draw with West Ham United. The defending Premier League champions missed out on the chance to close the gap on third-placed Liverpool FC following their goalless draw in the Merseyside derby on Saturday. The Blues started their London derby in fifth spot and 11 points behind Liverpool FC and Tottenham Hotspur in the race to secure a place in the Champions League next season. Chelsea FC broke the deadlock in the first half thanks to Cesar Azpilicueta’s goal in the 36th minute at Stamford Bridge in the Premier League. West Ham levelled in the second half through Javier Hernandez to ensure Chelsea FC have only managed to win two of their last eight Premier League games. Chelsea FC have endured a frustrating defence of their Premier League crown following nine defeats in the English top flight. “It’s another result which isn’t positive because we are talking about a draw. “You must win this game. I’m very frustrated and I hope all my players go home and are frustrated as well. You have to have the right mentality. 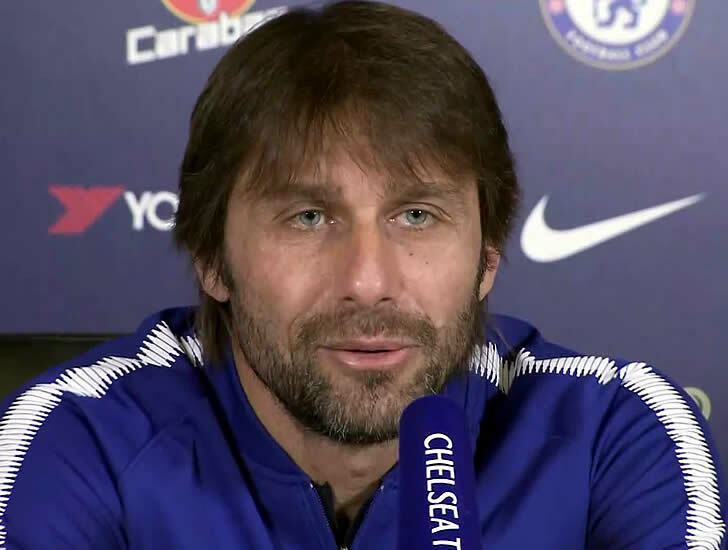 Conte added: “When I say I’m frustrated I mean for everyone – myself, the players. We win, lose and draw together. “When we have this type of result we have to share the responsibility together. It’s very difficult for me to explain this game. Chelsea FC won the Premier League title with two games to spare last term after the Blues finished seven points ahead of their closest challengers Tottenham Hotspur. The west London side can still win the FA Cup if Conte’s men beat Southampton in the semi-finals.